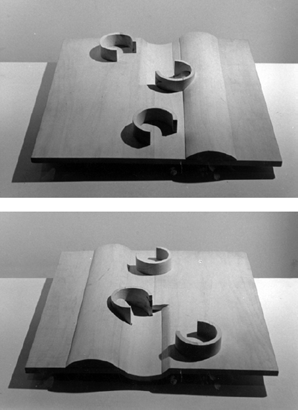 Architectonics is the study and understanding of architectural language through its tectonics. It is offered as the first year curriculum in order to form a foundation for the study of architecture for the next five years. The sequence of studies is additive so that a body of work is developed throughout the year in order to form a concrete reference for each student. A rigorous and uniform format offers limitation and focus and individual creativity is encouraged through observation and imagination on the subject. Format of study is a volume of a double cube, 15"x15"x30" at 1/4"=1'-0" scale. All the drawings to be drawn on a 15"x15" , 15''x30" or 30"x30" sheets of paper. A grid of 2 1/2"x2 1/2" half module on the perimeter and 5"x5" full internal module is drawn as the basis of dimension and location grid. This grid forms the "Site " for the project. 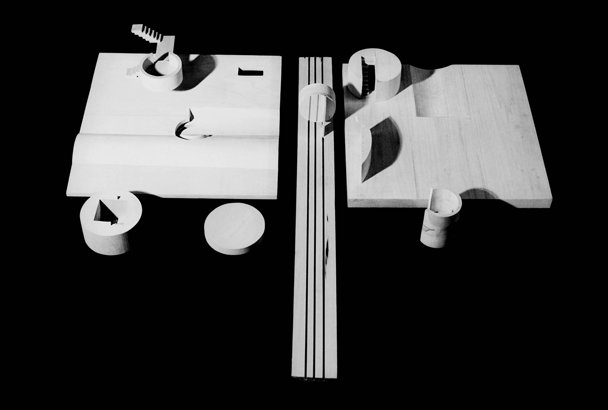 Drawings and models to be made in three different scales, of. 1/4"=1’-0". the "Architectural Scale ", 1/8"=1'-0", the " Site Scale" and 3/4"=1'-0", the " Detail Scale". It is required for each assignment, a set of drawings and models scale to be presented that shows, plans , sections and elevations in these scales. 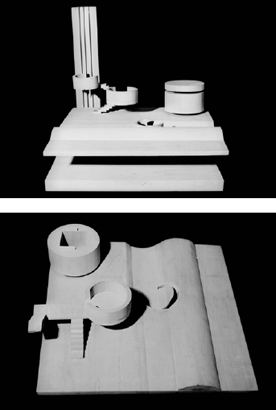 The theoretic and poetic foundation of this project began with the exploration of three paragraphs from various works of literature that dealt with the elemental forces: fire, water, and air and three architectural elements: column, floor, wall. 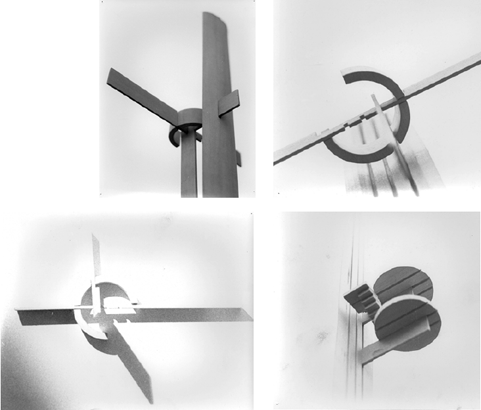 What followed was a series of architectonic studies that explored their relationships and the concept of inhibition.